It was not the race I wanted. After doing 9 marathons, I've come to the conclusion that you can't plan for everything. There's always something you can't control. 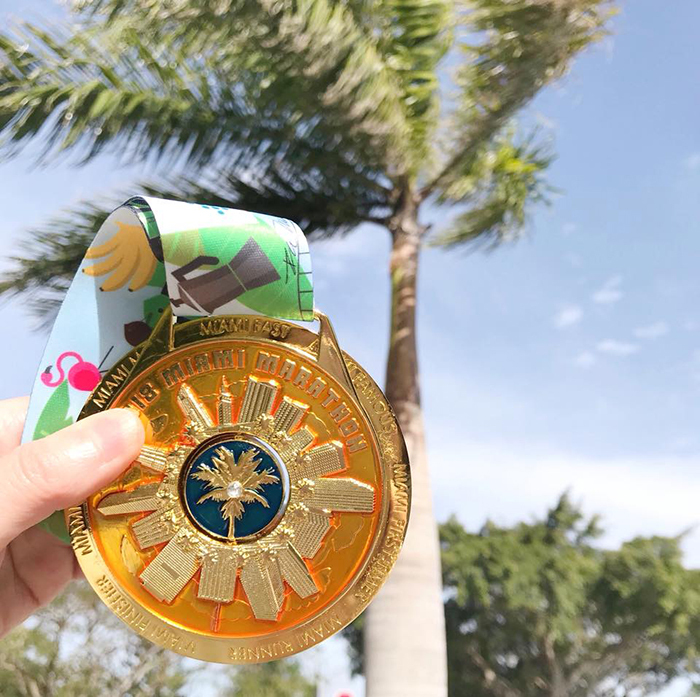 The Miami Marathon was a great race. It's a great course. As a first timer in Miami, it's a FANTASTIC city. I explored it for 4 days and I LOVED it. This will probably be the last time I train cold and run hot. I've done it twice now, and I just don't think you can prepare your body for Florida humidity, 75 degrees and sunny and the wind coming off the coast, in a 10 degree Chicago winter. I knew by mile 10 that my body wasn't processing electrolytes. I was covered in salt from sweating and I didn't feel right. I have NEVER wanted to turn out at the half marathon mark SO much. I had another half to go and the wheels were coming off the wagon. At mile 15, I looked down at my hands. This is where I knew I was in trouble. They were swollen up. My fingers looked like hot dogs. This had never happened to me and I had no idea what to do. BUT, I didn't panic. I said to myself ... "Look, you have never quit on a race and you're not quitting on this one." SO, I just broke it down mile by mile. 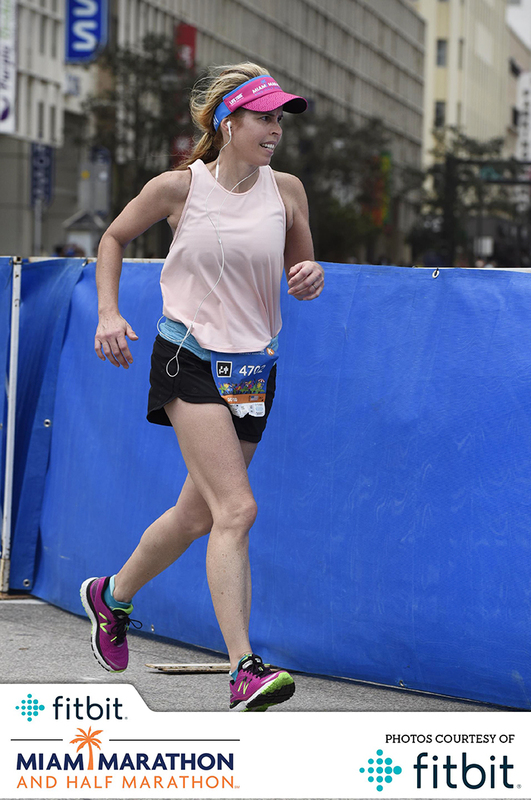 At 16, I said, "OK, I'm coming for you mile 17." At mile 17, I focused on the 18 mile sign. One mile at a time, one step at a time. It wasn't fast ... and it wasn't pretty, but I never gave up. Is it crazy that I'm looking for a cold weather marathon to do in the next couple of months? I still have a good time in me, I just need the right conditions!